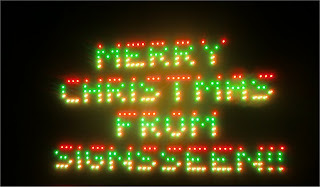 SignsSeen: Merry Christmas from SignsSeen!! Thanks for your business the past year! And, may your Christmas be filled with the true meaning of Christmas! We look forward to bringing you new signs and new sign ideas in the coming year.